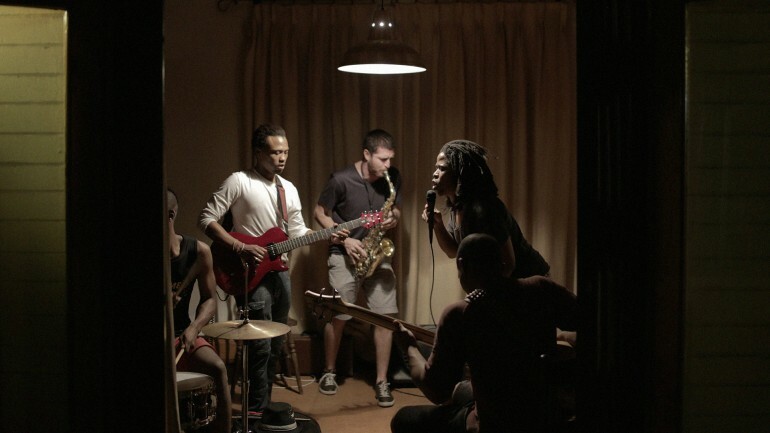 FILMMAKER IN ATTENDANCE – In SHIELD AND SPEAR, music and art serve as a gateway through which to open a dialogue about social and political issues in South Africa that also resonate in countless other countries around the world. Given South Africa’s history, it’s only natural that issues of race, identity, and cultural heritage impact the work of artists and affect the ways their work is perceived by an audience. The apartheid system still affects younger artists, black or white, working in South Africa today. Indeed, the artists and musicians in this film tackle stereotypes in various ways – some use humor or shock to play with their racial identity; some revolt against their heritage; while others embrace and celebrate it. This story explores what comes after the jubilation and celebration of a newly-won freedom when you’re faced with the real complexities of being a “Rainbow Nation”.